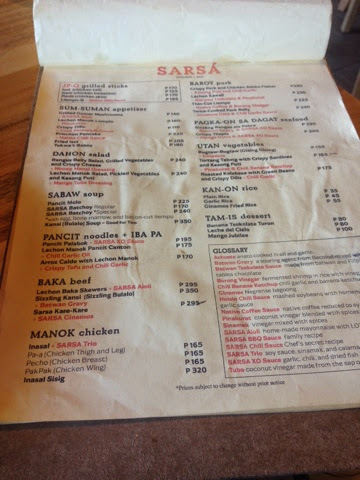 One of the country’s top magazine (ESQUIRE.PH) come up with TOP 20 best new restaurants for 2013 and that includes SARSA, A small but homely eating place located in The Forum Bonifacio Global City. 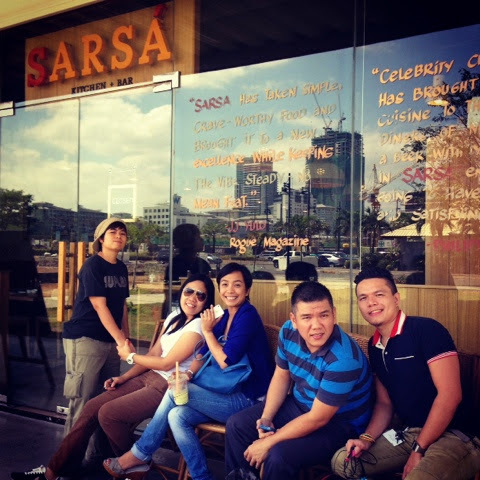 I had been in Sarsa twice and not at all did it change my judgment the first time I tried it. The place is welcoming and it illustrates an attention-grabbing style. 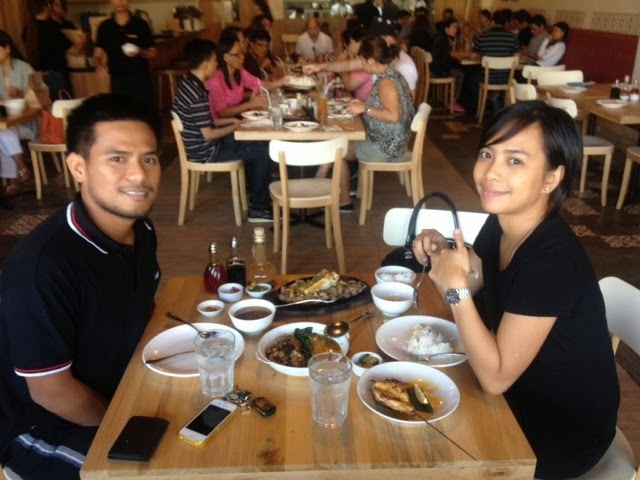 Here you can find a mishmash of modern and local interior that makes it good for a dining experience. 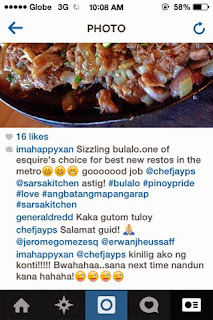 CHEF JP ANGLO known as “CHEF JAYPS” is the man behind SARSA’s rapid hit. 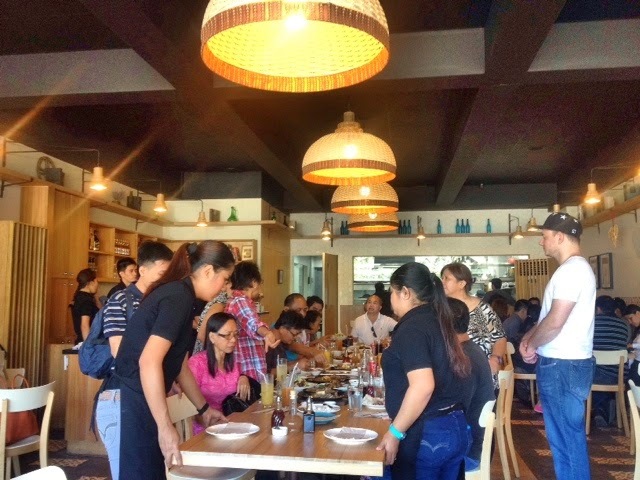 Chef Jayps is Best known as a judge of the former show MASTER CHEF PINOY EDITION. 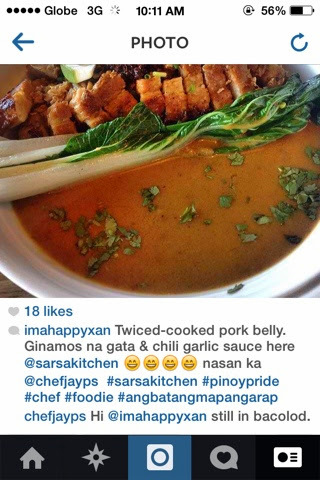 Sana one day ma- spottan kita sa SARSA, so you can share some of your recipes to me. 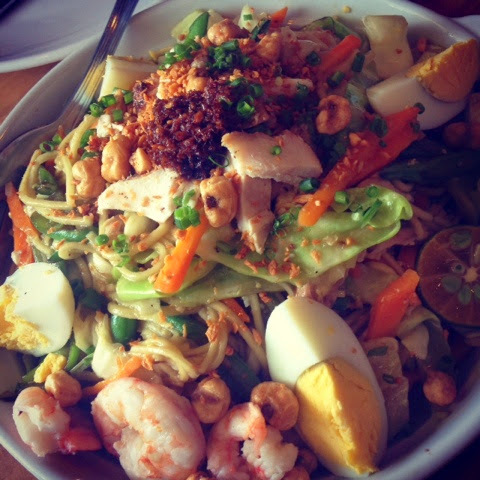 (frustrated chef lang ang peg at feeling close pa). Super kilig sa reply when I posted the pics on IG. Thank you chef! 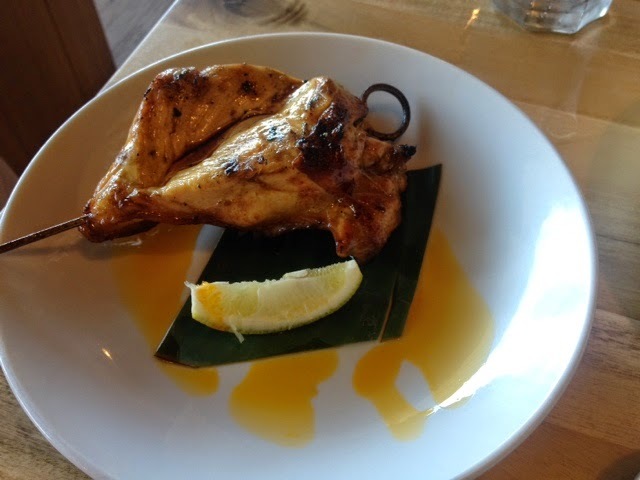 The chicken was cooked just right. I have tried other INASALAN (as what I call it, haha) but this one was really different. 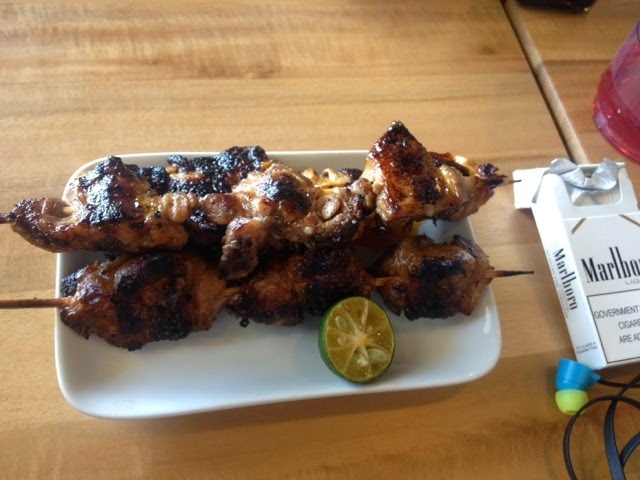 Hindi siya sunog, hindi matigas and nafeel ko pa din ung juiciness ng chicken. Frankly, I won’t suggest this to health conscious eaters..why? cause it is full of FAAAAAAT! 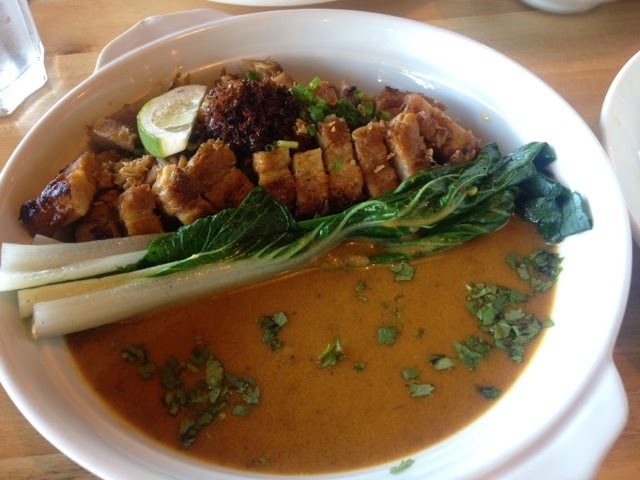 The famous bulalo of all time cooked in a different manner. 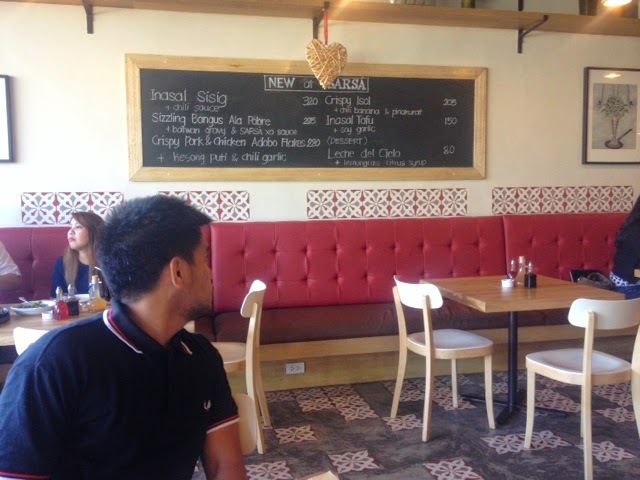 Masarsa at malaman. 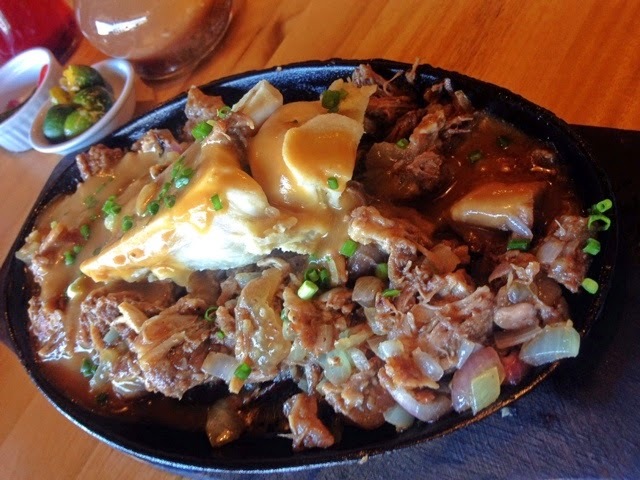 Eat while it sizzles. Served with batan tsokolate and pinakurat sauce.Batwan is unknown to me, hindi ko nga alam kung anu un but it had a mud-like taste for me. Anyhow, this entry is average, nothing exceptional when it comes to the taste. Yum!!! 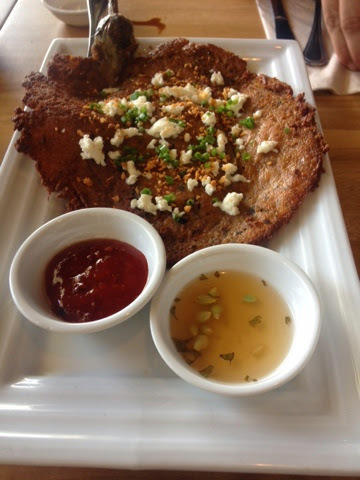 I so love this.Torta with a twist. The presentation itself is unique. A must try!!!!!!!!!!! 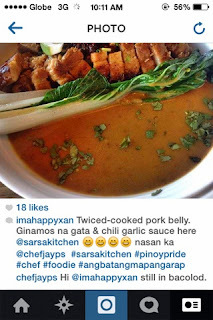 The food is uncomplicated yet tasty, that is how I wanna end up with this post. Two thumbs up for chef Jayps! 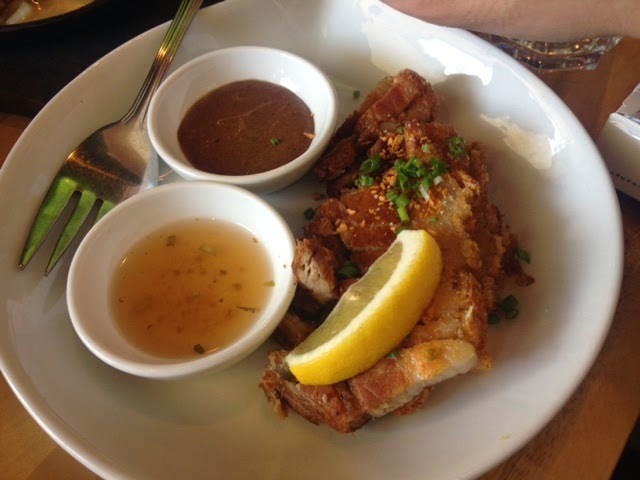 With a master chef as the creator, its good to say that the food with what its worth is sulit to try and come back for. 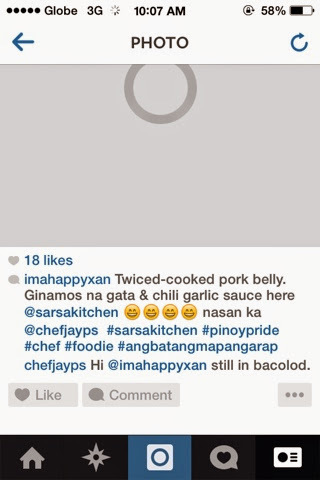 This entry was posted on Tuesday, May 6, 2014 and is filed under chef jayps,foodtrip in bgc,sarsa,tarakaintayo. You can follow any responses to this entry through the RSS 2.0. You can leave a response.